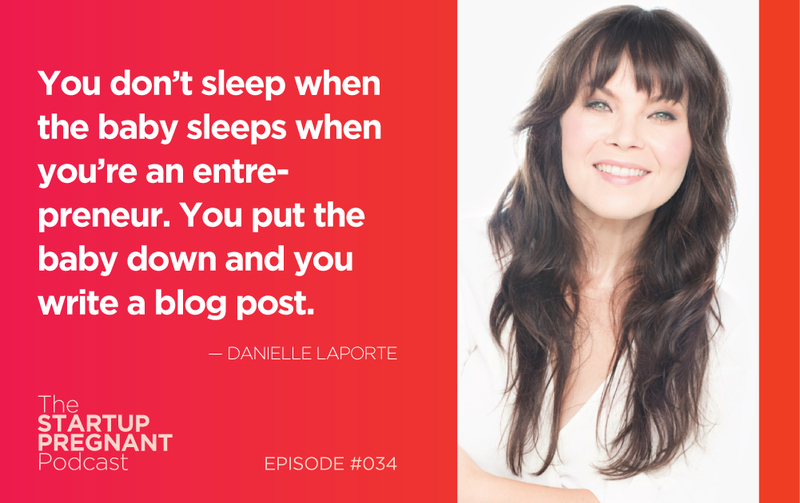 Danielle LaPorte’s intuitive nature informs her parenting style, and she shares her spirituality with her son. In this interview, I ask her to talk about her parenting journey. She shares that it began with an overwhelming desire to be a mom, that, when it arrived, she immediately followed even though it didn’t fit into her predetermined life plan. Danielle’s next-level understanding of consciousness is the foundation of her parenting philosophy, a philosophy that includes truthbombs like: no shaming, no lying, no psychological game playing and no pushing your child to be what YOU want. Rather, Danielle encourages parents to pay attention to what their children love, who they are from the beginning, even as infants. Today Danielle shares her parenting and entrepreneurial journeys, explaining how the two paths coincide and developed together. She offers her insight on parenting, speaking to the phases, the physical exhaustion and the decisions of what to share (and not share) with your kids. I ask Danielle about the solitude of entrepreneurship and solo parenting, the significance of cultivating adult female friendships, and the value of meditation and pleasure in living a full life. Listen in and learn how to develop a parenting style that is informed by your belief system and honors you child’s soul. Loved this episode Sarah!! Great questions and I so enjoyed hearing Danielle’s spiritual/seeker approach to birth and parenting and entrepreneurship. Do you mind sharing the books D sent you while pregnant? Thank you! Of course! She sent us several — Ina May’s guide to childbirth (a book that really opened my eyes about what the birth process IS), Raising Cain (about boy’s emotional development), Conscious Parenting (by Shefali Tsabury) about being awake as a parent. She also sent Leo some books, like Children Of The World. The part about observing your child and telling them what’s happening is an idea that I realized after the podcast came from a bunch of books. A lot of Montessori philosophy addresses this, and I really enjoyed Montessori: A Modern Approach. I don’t think she sent that one to us, but I’m including it here because it was a beautiful book that changed how I think about parenting. The line that stands out to me was “adults need children as much as children need adults,” about how it’s actually part of a thriving society when children and adults are intermixed with each other, and we have as much to learn from how they’re growing into the world, and our relationship with them, as they have to learn from us. It sparked an “aha” moment in me that changed how I see parenting (and the pathology of separating children from our social groups in a somewhat extreme American way). Can I just say how amazing this was to listen to? It was insightful to hear Danielle’s own parenting journey. The point she raised about being advised to quit her job “and live on credit cards if necessary” rings so true for me right now and was comforting to hear her speak about. Thank you both!